Pipe tools & pipe cutters, threading & grooving machines, measuring equipment. Various consumables, like cutting and grinding discs, flap wheels, flap disc, carbide burrs, abrasive material etc. Builders construction hoists, construction lifts and rack & pinion platforms. Workshop equipments, Pneumatic breakers, electrical & pneumatic lifting, pulling & hoist equipment. Air operated diaphragm pumps and submersible pumps. Various types of industrial bearings. Plumbing, Air conditioning & Refrigeration Copper pipes & fittings. Harness, Lanyard, Working Belt, Tripod. Buildings Maintenance Units “BMU’s”, facade cleaning solutions, cradles and permanent & temporary safety lines. 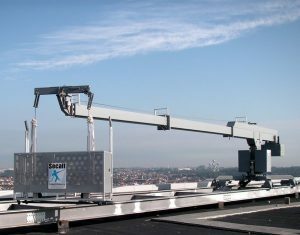 Tractel Secalt SA Luxembourg is a 67 year old company based in Luxembourg, leader manufacturer of BMU’s, building facade cleaning solutions & cradles as well as a permanent & temporary safety line. TRACTEL has over 50 years experience in developing tailor-made solutions for both temporary and permanent suspended access on all continents. Using the latest CAD tools, calculation software and advanced hoisting solutions (patented TIRAK hoist) our Design Department produces innovative, leading edge access solutions. With the aim of total Quality, our complete organisation is certified to ISO 9001:2000. Available for all technical or commercial requests, the TRACTEL Sales and After-sales Teams can respond with very short reaction time. For quick interventions at all heights and applications. For lifting people and tools efficiently, working at the optimal height and in the right position, the TRACTEL Group offers a large range of suspended working platforms. Various Types of Electrical, Mechanical & Pneumatic lifting & Pulling equipments like Electric Chain Hoist, Tirak Power Hoist, Load Cells, Gear Push Trolleys, Chain Blocks & Lever Hoist, Various Types of Clamps & Trifors. Lifting and Handling activities are defined—depending on the axis—as lifting, positioning, pushing, pulling, carrying or transferring. A physical or mechanical force is required to perform these activities. Our equipment reduces the physical effort required for lifting and handling operations that improves the working conditions and makes the operations safer. TEA International with more than 40 years of experience producing hoisting machinery for the construction sector is present around the world with Beta and L’Europea wire rope hoist and with TEA Rack and Pinion Hoist. Simpedil established 1980, specialised in manufacturing Bar Cutting, Bending Machines for concrete reinforcement industry, with its long experience and continuous development, gives most attention to the quality of machines, to after sale support and quality-price ratio. Our advantage is the affordable price, low in comparison with the quality & Technology we provide – All our service at all times for every single need of every single Special Customer of ours. In our conception, a Customer is not simply a Company buying our Machines, but it is a Partner with whom cooperate for mutual benefit and it is a group of People and professionals who need prompt support at all times for all issues. Simpedil is careful to innovations and with its constant studies for improvements guarantees machines abreast with technology. Consequently sales are successfully made in Italy and above all abroad, with sales covering all the five continents of the globe, from Europe to Australia, Middle East, South America, Africa and India. Simpedil is always working on further steps of new technology and is proud of its latest series of Machines: Evolution. Simpedil offers a wide range of Machines as well as services, as varied and different as the needs of our Customers. Strong and efficient machines for small, medium and big works… impossible not to find one suited to your needs. DIAMOND rebar cutters and benders enable you to get the job done quickly, efficiently and safely. Our products range from powerful hand-held tools through portable table units for on-site use to specialized equipment for the production shop. Our DC series cutter cleanly shear a rebar within a few seconds, are quicker and more economical than disc or abrasive type cutter and unlike oxyacetylene torches, do not damage the rebar by heat transference. Safety too is improved as there are no sparks or flame and no trailing hoses to snare equipment or worker’s feet. The DBD series Portable benders may be run off a small generator and are designed for the ease of operation and quick yet accurate bending necessary for fabrication in the field, while the production shop equipment offers a selection of heavy – duty and automatic models to suit a variety of needs. As a company that has supplied products, which are indispensable to society and industries and require reliability of high level, ShinMaywa will endeavor to meet the expectations of customers. All purpose, construction Dewatering Pumps & Sewage Pumpsis applicable for a wide range of uses, construction site, sewage treatment plant, and building uses. To prove worthy of the trust of customers and society, we will further improve technologies and try to be in harmony with society through diligent corporate activities. ShinMaywa’s enthusiasm toward technology will never change at any time in the future. A leading brand for over 50 years, Norton Clipper revolutionized the building and construction industry with the invention of the world’s 1’st laser welded diamond blade. Today Norton Clipper continues to deliver innovation and cutting edge technology through a complete range of construction blades and machines for the most demanding professionals, craftsmen and contractors within the building, construction and stone industry. From residential and habitat projects to large scale civil engineering ventures and everything in between – we can equip you with the safest and highest performing construction blades, machines and abrasives that not only help to improve your personal comfort but contribute to a greener environment. It was Norton Clipper that revolutionised the building and construction industry with the invention of the world’s 1’st laser welded diamond blade. And we’ve continued to innovate: our award winning silent blades, perfect for noise-sensitive areas like hospitals, schools, offices, residential spaces and city centres; the introduction of infiltrated High Density technology (i-HDTM), the latest revolution in diamond tool manufacturing providing unrivalled performance, greater comfort, lower energy production and improved safety which is second to none. Wide range pneumatic tools like Impact wrenches, chipping hammers and breakers used in construction sector as well as industries. Since TOKU was founded in 1955, our primary goal was to supply reliable quality products. Today, TOKU is seeking customer satisfaction. as the primary goal for our company. Customer satisfaction has various factors but the most important element is the quality and service of products. We understand that our most popular products have been improved and developed through customer input and needs . We therefore should feel the voices from the market are essential and needed to improve and develop new products. The key issue is how quickly we can turn the customer’s opinion and ideas into the reality. As a result, it is important that the sales and marketing team works closely with the manufacturing side to reach a common goal of customer satisfaction. Our job is not only to deliver products which match the market needs but to also support the products which have been delivered with good manuals and literature. This information is essential for customer satisfaction since these customers will continue to use our products for many years to come. With over 100 years of direct experience in the Breaking Industry, concentrated on the continuous development and manufacture of fine quality tools, we are in the right position to help you find the right tool for your needs! Tightly controlled steel specifications and manufacturing processes ensure a range of tools which guarantee maximum resistance to fatigue, high operating efficiency, offering unbeatable performance in the industry. If you demand a combination of proven quality and high performance, then look no further than Thomas Turton Demolition Tools. Our knowledgeable advisers are always on hand to help you find the right product for you, meaning you get the most out of each tool. Fair and practical warranty programme – accepted as the Benchmark within the industry. As Market leaders and the biggest independent manufacturer of demolition tools in the world, make us your first point of contact for all of your breaker tool needs. So if you are looking for the perfect tools for the toughest jobs, then give us a call or email us right away and you’ll see just how good our service is. Piping equipment is indispensable in our life and society as a whole. The Rex Group aims to provide reliable products and service that result in the highest level of customer satisfaction by listening to our customers on- and off- site. 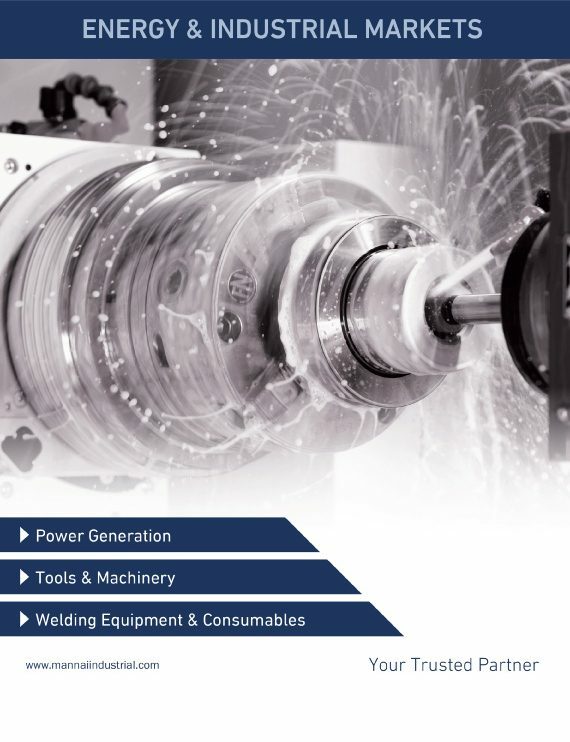 Our focus is on “CCM” – Speedy and accurate Cutting, making secure Connections, and Maintaining equipment and facilities for long lasting performance. In so doing, Rex aids in solving the challenges of installation, prevention and on site maintenance. The result – a better work-site situation and better environment for us all. MENNEKES plugs and sockets are quality products. All companies in the MENNEKES group are certified according to the DIN EN ISO 9001 standard. Our products have attracted more than 5,000 attestations and accreditations. Extremely high quality, reliability, safety, innovative drive, proximity to the market and sustainability in our business are the qualities that single our brand out. We have a clear identity which means that people understand us – as a reliable brand partner for our customers and as an unmistakable branded article for satisfied users.